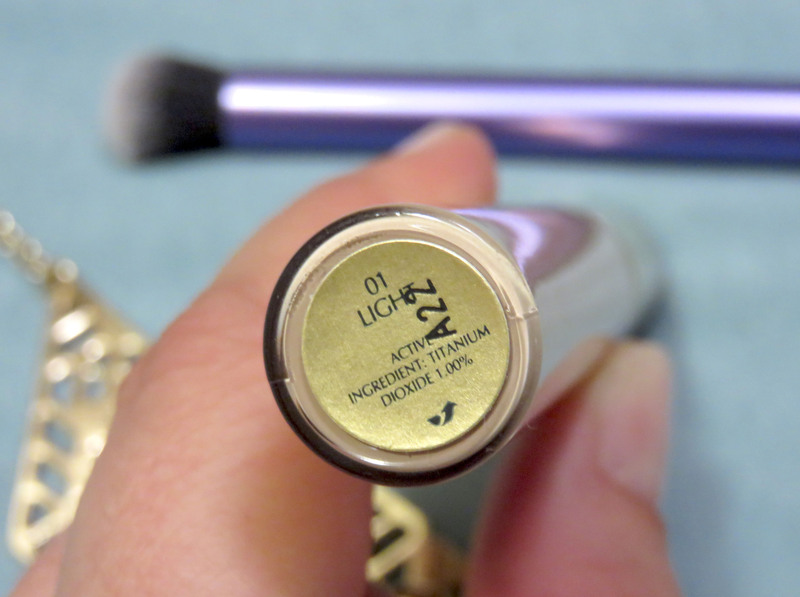 It’s lightweight, pigmented, blendable, long wearing, and conceals spots and dark circles with ease. Interested yet? 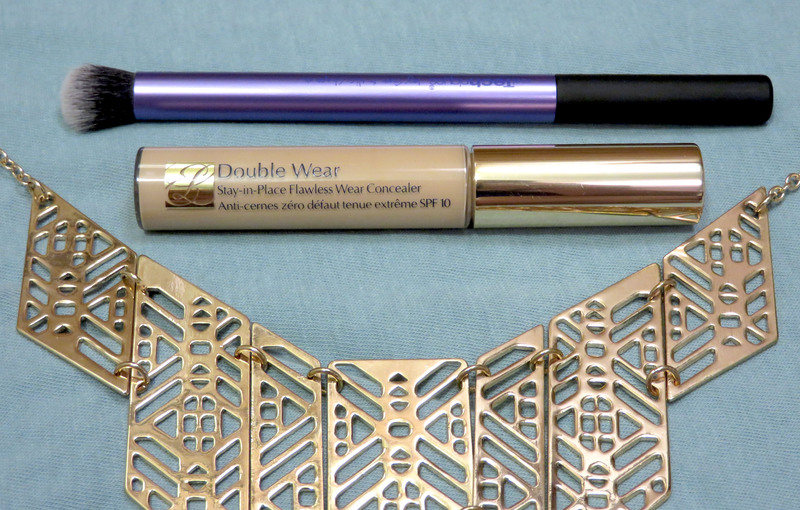 The Estée Lauder Double Wear line has been talked to death in most circles of the online beauty world, and I finally understand why. I picked this up at a Cosmetics Company Outlet while on vacation in Virginia. It has since become my go to concealer for spots. My favorite method of application is actually not the doe foot applicator it comes with; it’s perfectly fine but it applies a large amount in a small area which can make blending a bit messy. Instead I love taking the product from the back of my hand using a RealTechniques Deluxe Crease Brush and pouncing the brush over any spots I have. I’ll go over a few spots, allow the product to set just a little bit, then go back to blend the edges. This helps prevent wiping away too much of the coverage in an effort to blend it out right away. In the end it dries down to a beautiful semi-matte finish. I rarely bother to powder it stays put so well. The texture is very smooth and not too thick or thin; I’d liken it to the consistency of a typical daytime moisturizer. You have plenty of time to blend but also don’t have to wait forever for it to set. It layers nicely without caking and stays put all day without touch ups. If I’m in makeup for over 8 hours I feel like everything starts to go downhill and need a bit of a refresh (especially around my chin… I’m convinced that no foundation will ever last perfectly on that part of my face) but honestly most people will be standing far enough away from you that they won’t even notice. Unless perhaps that someone is Charlotte Tilbury or Lisa Eldridge, but that’s a whole different ball game. As previously mentioned it does cover dark circles as well, but every once in awhile it stings the skin around my eyes. If you don’t have sensitive skin (which I typically don’t) it should work for all your concealing needs. Initially I thought it might be the SPF that stung my eyes, but it’s titanium dioxide which is generally suitable for all skin types. That part remains a mystery to me, but it’s something to keep in mind. There are 10 shades available. The one I have is in 01 Light which I would describe as fair-light with a slight yellow undertone, making it an excellent match for me. Next to my foundation it still looks pink so it’s not too yellow. I will point out that this is the second lightest shade and I think porcelain skins will have a hard time with the shade range as will very dark skinned ladies. Such is life in the makeup world though… if I could ever design a makeup product I think I would want to make a range of foundations and concealers to suit every skin color of the melanin rainbow. At the very least I’d make it easy to lighten or darken the shades. Ramblings aside, this is an excellent concealer if you can find a good shade match! Application and blending are very easy. Powder is optional depending on how oily your skin is, and the longevity is pretty much everything I could humanly hope for. If you have a CCO near you I’d definitely take a look before stopping by the department store counter. As far as concealers go this one isn’t too pricey but it’s always nice to save a few dollars. Animal Testing: Estée Lauder does not perform animal testing. They do, however, sell their products in countries where animal testing is required. It is my understanding that this testing is performed by local authorities and not by employees of the company. Have any do-it-all concealers to recommend? Share in the comments! 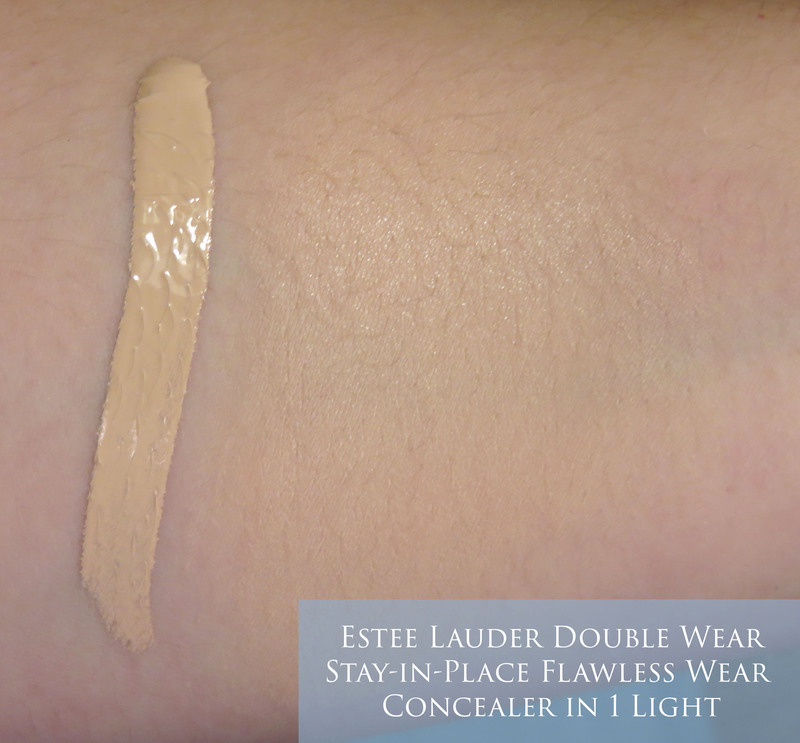 This entry was posted in Face, Makeup and tagged 01 Light, Beauty, Blemishes, Concealer, Dark Circles, Double Wear, Estée Lauder, Flawless, Long Lasting, Longwearing, Makeup, Review, Spots, Stay-in-place, Swatches, Wear by bellarosemu. Bookmark the permalink. 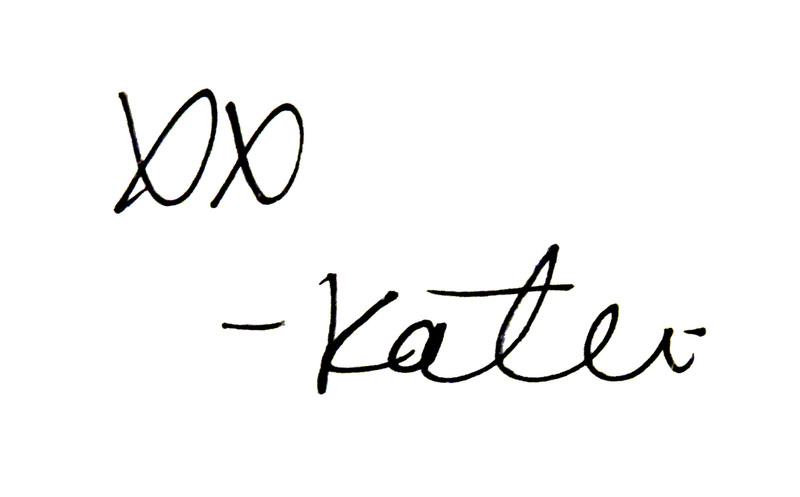 Hey Katie, thanks for the excellent review! I’ve been mildly curious about this one. For the moment I use Dior Skinflash for days on which I wear little base product (a BB cream or maybe some powder foundation), and Dior Diorskin Star for when I need more coverage. I’ll keep this in mind for when I run out! Glad I could share something of interest! I’ve been curious about all the new major foundation launches, do you happen to have a review of the Diorskin Star on your blog?